Burn surgeon Dr. Jon Gayken treats patients at HCMC's Burn Unit and also works at Camp Red, a burn camp for young kids who are learning how to navigate life. MINNEAPOLIS — Nationally, the first full week of February is dedicated to burn awareness. We've been highlighting local heroes who are active in the burn community - or are even burn survivors themselves. Burn surgeon Dr. Jon Gayken has spent a lot of time at HCMC's Burn Unit. He was a patient there back when he was 17 after he developed a blood infection. “All of the skin on my arms and legs ended up dying as a result of it,” said Dr. Gayken. 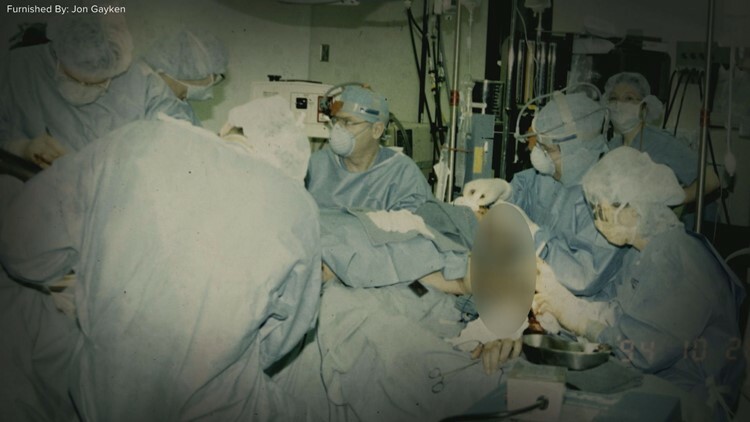 Burn Surgeon Dr. Jon Gayken undergoes surgery as a teenager. Dr. Gayken was treated like a burn survivor, left with scars and memories of the pain and trauma burn patients go through day to day. “I ended up going through all of the skin grafting, the surgeries, and the rehabilitation and compression garments and all of the things my patients go through and it sort of gave me a focus,” said Dr. Gayken. His focus: becoming a burn surgeon knowing all too well exactly what his patients are going through. “It’s been a journey but obviously a very rewarding one,” Dr. Gayken said. 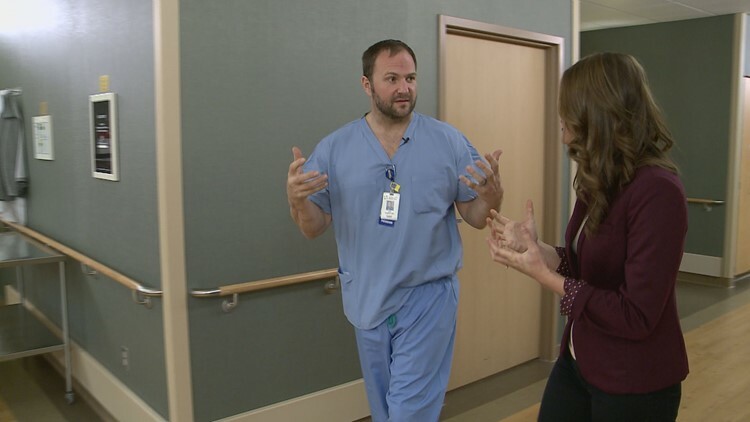 Dr. Jon Gayken talks with KARE 11's Alicia Lewis inside the HCMC Burn Unit. Today, Dr. Gayken not only helps his patients inside the OR, but also at Camp Red, a burn camp for young kids who are learning how to navigate life. “It's a bit therapeutic for me too, dealing with managing my own self-image and my own scars and making sense of it all its healing for the kids and the providers,” said Gayken. For more information on Firefighters for Healing or Camp Red, click here.